New Jersey’s medical marijuana program continues to overcome obstacles and has been growing more rapidly than anticipated, an encouraging sign for cannabis entrepreneurs. Patient growth is accelerating, and recent developments could fuel the industry’s forward momentum – including a decision Wednesday by Gov. Chris Christie. To the surprise of some observers, the Republican governor signed legislation adding post-traumatic stress disorder to the list of qualifying conditions for the state’s medical marijuana program. Christie had resisted past efforts to expand the MMJ program. The decision – occurring on the last day when he also could have vetoed the bill – offers the potential to significantly broaden New Jersey’s patient pool, given that many military veterans suffer from PTSD. 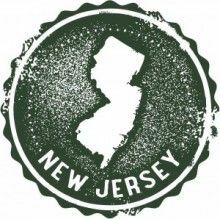 The New Jersey Department of Health recently launched a program allowing the public to petition to have ailments added to the MMJ qualifying conditions list. Dispensaries have been given the green light to sell some extracted products, including cannabis-infused lozenges. Previously, dispensaries could sell only raw flower. New Jersey’s MMJ prices – among the highest in the nation – have dropped, a development that could attract more patients to the program. As of Sept. 13, 9,009 medical marijuana patients had registered in New Jersey, according to the state’s health department. That’s 11% more than the roughly 8,100 patients that were anticipated by this point when the state released a report in March saying 250 new patients were being enrolled a month. Still, the gains haven’t been evenly distributed among MMJ businesses. And the industry faces uncertain headwinds, including a governor who until now has shown little enthusiasm for MMJ. Moreover, the industry has been hampered by a dearth of doctors willing to be certified to recommend medical cannabis. “It’s OK. It could do a lot better,” said Julio Valentin, CEO of Greenleaf Compassion Center in Montclair. New Jersey has approved five of the state’s six allotted dispensaries for operation. The sixth dispensary, Foundation Harmony, does not yet have a final location, according to the health department’s website. Despite the rising patient numbers, MMJ industry observers in New Jersey say the market still isn’t near full potential. They note the state could implement measures that would help, such as expanding the list of qualifying conditions and making it easier for doctors to recommend medical cannabis. Christie’s signature making PTSD a qualifying medical cannabis condition certainly helps. His signature comes after the state legislature on Aug. 1 overwhelmingly approved the PTSD bill. Christie had until Wednesday to sign the measure, veto it, or not sign it – in which case the bill would have become law Sept. 16. Christie’s decision flies in the face of previous actions. Earlier this year, the governor refused to add debilitating menstrual cramps to the list of treatable conditions. “The mere potential of abuse by some should not deter the state from taking action that may ease the daily struggles of veterans and others who legitimately suffer from PTSD,” Christie said in a statement. Even a Christie veto wouldn’t have ended the matter, given the health department’s petition program implemented over the summer. The New Jersey chapter of the Drug Policy Alliance has already begun helping patients submit petitions asking the department to consider adding PTSD and chronic pain. A decision, however, could take up to a year or more, acknowledged Meagan Glaser, the DPA’s deputy director for New Jersey. “The state’s overly restrictive regulations have made it hard for patients to access the program and raised the costs on medical marijuana businesses,” Glaser said. According to industry officials, few New Jersey residents know about the MMJ program or how to apply for a card. “Patient awareness and education are absolutely an issue,” said Raj Mukherji, general counsel for Garden State Dispensary, which has the state’s largest share of patients, at 35%, according to health department data. Observers also say the program needs more doctors. According to recent data, 398 doctors were certified to write medical marijuana recommendations. That number is considered too low for a healthy market. Industry officials contend that physicians fear they will either lose their medical licenses or ruin their reputations if they become known as doctors who recommend MMJ. “I think they’re worried about getting a bad reputation and losing their license,” said Greenleaf’s Valentin. He would like to see New Jersey eliminate the requirement that doctors register with the state to be allowed to recommend medical marijuana. “Having to get certified discourages doctors from participating in the program,” Valentin said. While New Jersey’s MMJ businesses have endured more restrictions than cannabis companies in most states, other recent positive developments have emerged. About two weeks ago, Compassionate Sciences Alternative Treatment Center in Bellmawr received health department permission to manufacture and market infused lotion and lozenges. Also, two new dispensaries that launched in 2015 have injected fresh competition into the market and helped bring down New Jersey’s high MMJ prices, to about $300 per ounce from almost $500 per ounce.